You’ve finally finished college and you’re hoping to find a job as a web designer, or maybe you’re a seasoned web designer with several years experience. 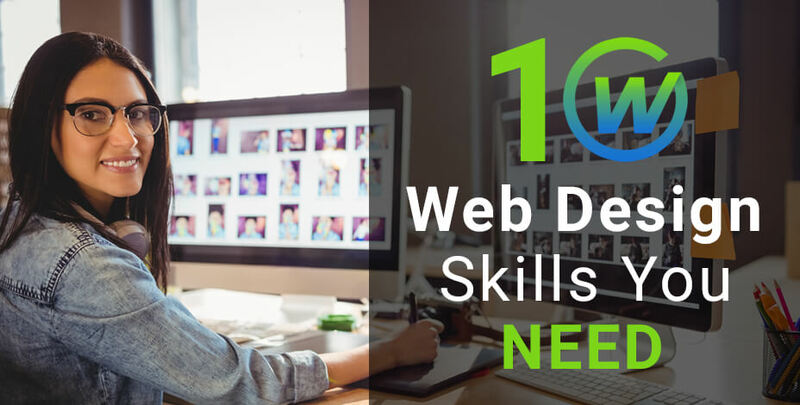 Regardless of your situation, we’ve put together a list of the top ten web design skills that will help ensure you are able to survive and thrive as a web designer. This list is just a taste of some of the skills we encourage anyone who is interested in a career as a web designer to take the time to refine and learn as much as you can in order to keep your skills fresh. If you’re going to be a web designer or work in web design in some aspect, you’re going to need to understand how to create or edit HTML. All web pages use some form of HTML as the basic building blocks. Understanding how to create a basic page structure using HTML is a web design skill that all web designers need to have. Going hand in hand with HTML is CSS. Being able to style your pages using CSS is another essential web design skill. If you’re not familiar with HMTL & CSS it’s not difficult to learn, there are a ton of free resources available online such as W3schools for anyone who is wanting to learn how to build web pages. Bootstrap is almost a must know web design skill, if you’re going to be creating sites from scratch, it is the most popular HTML, CSS and JS framework out there. If you’re not familiar with bootstrap I’d highly advise you to visit Bootstrap’s site and familiarize yourself with it. Personally having experience using Bootstrap to build sites, I’m sold and give it a solid thumbs up. Back in the day, it was very common for web designers or developers to build all their pages by hand coding everything. If you have experience hand coding pages you understand how long this can take. It is a major undertaking especially if you’re creating a site that has multiple pages. Nowadays most web designers use some form of CMS to create sites for clients such as WordPress. It has revolutionized how quickly sites can be created, WordPress is our go to CMS, we use it and we love it. WordPress offers free templates for newbies or hobbyists who just want to dabble in site creation or blogging. For professionals, WordPress offers access to top-notch customization and plugins for a fee. Learning how to use WordPress is another web design skill that will serve you well. It’s not necessary to be a coding machine if you want to be a web designer but it does come in handy to have some programming experience to fall back on. If you’re one of those people who are standoffish when it comes to learning programming or thinks it’s too hard to learn, take a visit to Code Academy. The lessons are easy and make programming fun for people of all skill levels. Photoshop and Illustrator have become the main go-to design tools used by web designers and graphic designers. 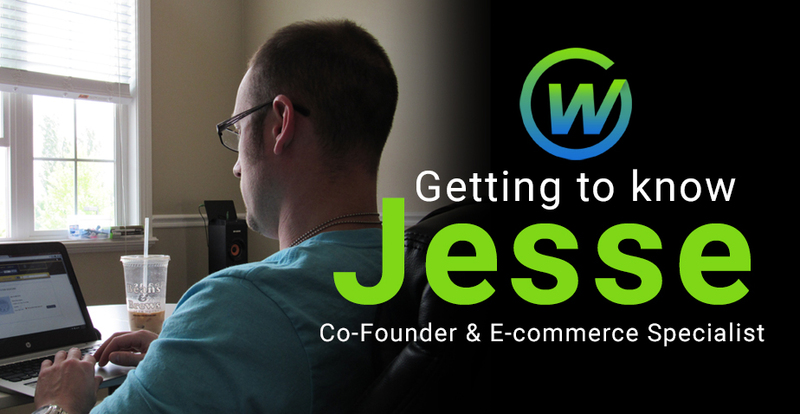 It’s a skill that is as crucial to have if you’re determined to be a web designer. On average I spend about 25% of my time using one of these programs to create graphics or to edit images for our sites. You can get a monthly subscription to Adobe Creative Cloud, or if you’re old school, with a little searching you can purchase of CS5 or CS6. Regardless of which software you decide to use having some graphic design skills and knowing how to use some type of graphic design programs will pay off. Just about every person between the ages of 15- 50 that I know has some type of social media account, and just about every business large and small has a social media presence. Social media makes it easy for business’s to stay in touch with customers, advertise new products, and in some cases garner a cult-like following. Maybe you’re not a big fan of social media and that’s okay but it is helpful to be familiar with social media. 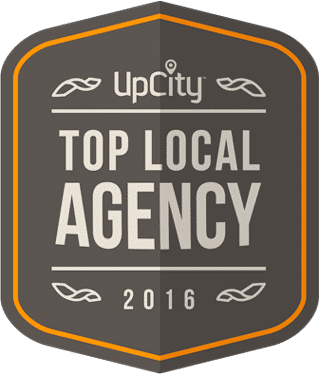 Maybe you’re a social media guru who stays on top of what’s the next hottest trend in all things social media. Having some social media experience is a skill that will serve you well. Now this one is a tricky skill to acquire and takes some time to really get an understanding of the in’s and out’s of how SEO works. Let’s be clear about this, SEO experience is a skill that is always in demand. There is a reason for this, it’s not easy and it takes a while to learn how to really develop a solid understanding of proven techniques that produce solid results. If you’re not sure where to start, Google has a ton of resources to help you get started. Out of all the skills listed here today, having solid communication skills will benefit you in so many ways, it’s immeasurable. How many times have you talked to someone and thought you understood what they were saying or read something and thought you understood what was needed only to find out later the person wanted something completely different. As a web designer, this is a given, it’s going to happen whether it’s working with members of your team or taking direction from clients, it’s easy to misinterpret information. That’s why it is so important to make sure you ask clear and concise questions from clients. On the flip side, if you’re relaying instructions make them as clear and unambiguous as possible. Nothing can be more frustrating than having to redo a project due to miscommunication. Ask questions and listen, and if you’re still not clear ask again. Listening is probably the most important part of communication. How many times have you been working on something and reached a point where you thought to yourself, ” it just doesn’t get better than this ” and then have someone come along and say it looks good but it still needs some work. If you’re already a web designer you know this is commonplace. If you’re just starting out you should prepare yourself. It’s important to listen to feedback and try to interpret what needs to happen in order to get projects to a point where they are ready for presentation to clients. If you’re the type of person that cannot handle feedback developing this skill will be essential for your survival as a web designer. If you’re unsure where to start, this article in Harvard Business Review may help. As someone who has worked in various fields of design and development, I personally understand how necessary it is to always be learning new skills. When your first starting out it’s important to learn the basics but as you progress and become more skilled it’s also necessary to have a willingness to learn new web design skills. If you’re unwilling to learn new techniques or new web design skills you’re going to get left in the dust by someone who is eager to up their game. Learning new skills doesn’t have to happen over night it can be an ongoing thing that you do when you have some free time, weekends, or evenings. In the long run, taking the time to learn new skills will help you stay relevant in an industry that is always looking for the next big upcoming thing. I hope this list helps you better understand some of the web design skills needed to thrive as a web designer if you have questions feel free to contact us at info@webaholics.co!